I have been a bad girl this week and haven’t cooked at all. Yes, I could say I’ve been busy, which I have. You could also call it lazy. But I have also been suffering from allergies (which I never knew I had until this year) and just haven’t been up to doing much of anything. I got home from work today, opened the neglected produce drawer and was horrified to realize that I have not yet used a bunch of gorgeous asparagus that I got earlier in the week. I totally forgot about them, and they weren’t quite as lovely as when I first brought them home. What’s a girl to do? I didn’t want to waste them, but they just were not quite up to snuff for a simple preparation where they would be the shining star. The solution? 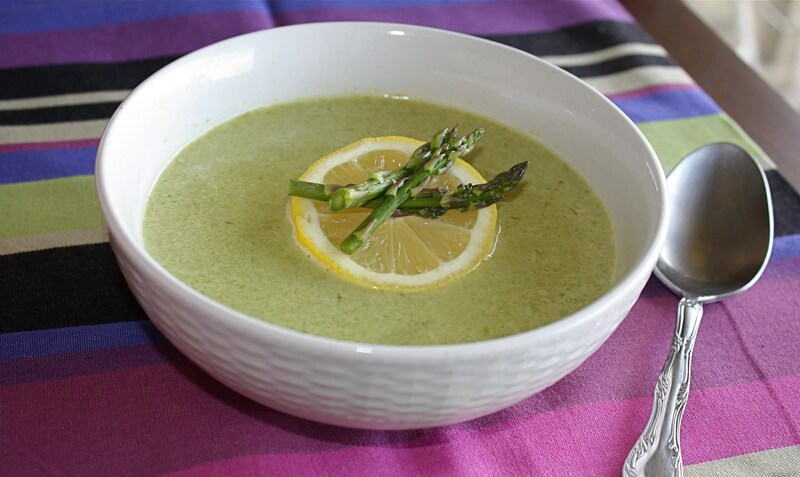 Cream of asparagus soup. Not bad. I was able to whip it up in a jiff and put those poor little scorned asparagus to good use. If you’ve got some asparagus laying around, give it a shot. It’s the perfect way to end the week…and start the weekend, of course. 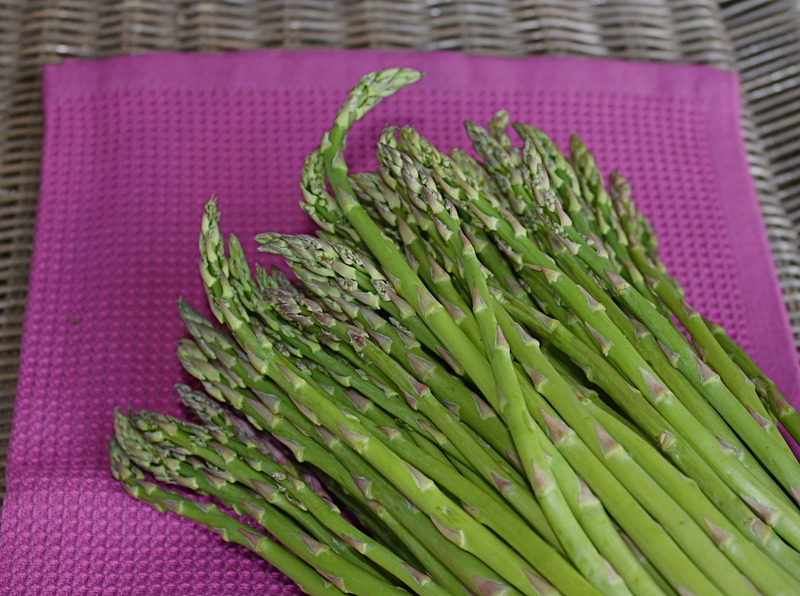 Cut tips from 12 asparagus 1 1/2 inches from top and halve tips lengthwise if thick. Reserve for garnish. Purée soup in batches in a blender until smooth, transferring to a bowl (use caution when blending hot liquids), and return to pan. Stir in crème fraîche, then add more broth to thin soup to desired consistency. Season with salt and pepper. Bring soup to a boil and whisk in remaining tablespoon butter. I tried the soup with and without the lemon juice. Don’t leave it out! It really brightens it up and adds another level. As I said before, this is a great use for asparagus that’s a slight bit past its prime. Okay, I’m not talking shriveled and rotting here. Just a little spent.